The 4 Piece Ultima Set has all the basic furnishings a drafter or artist needs. 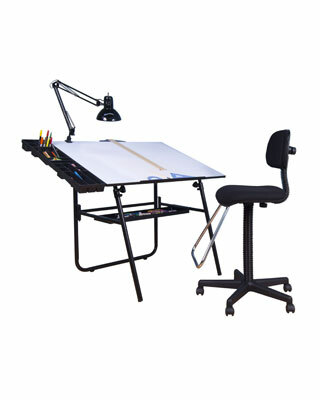 Included in the set are an Ultima Fold-A-Way Drafting Table, Black Swing Arm Lamp, Optima Art Tray and a Maxima II Drafting Chair. This set features ample storage for all your supplies. It is the perfect set-up whether you’re a casual artist or professional drafter.